I was in B&Q the other day and somehow ended up in the wallpaper aisle. We are planning on redecorating our living room but don’t have the funds for it yet so it was probably a bit soon to be picking out wallpaper! However I couldn’t resist tearing off a few samples. Needless to say I didn’t actually like several of them by the time I blue-tacked them up on the wall at home. I could have just put them in the recycling, but this week there are several birthdays in my family so I decided to use them on the cards instead. This is a great (if slightly cheeky!) way of getting some free printed papers for your craft box. 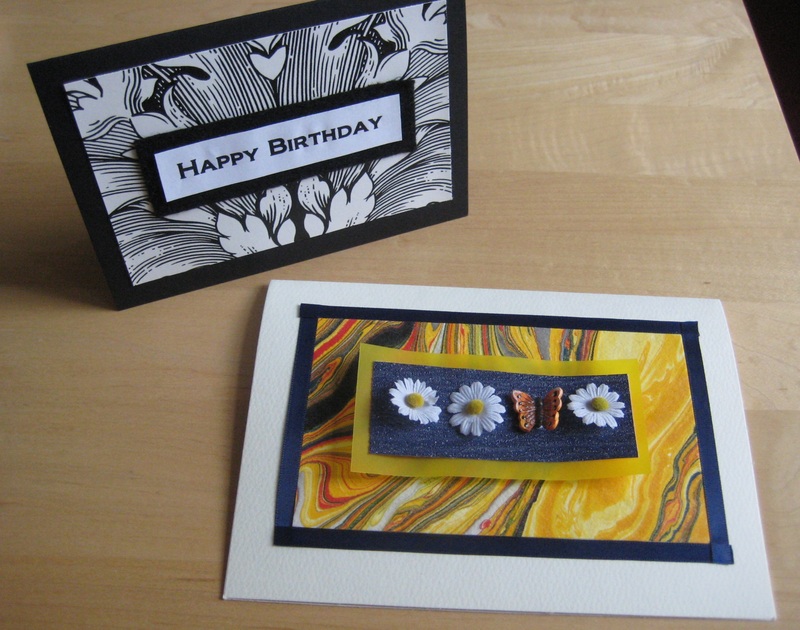 One is for my brother-in-law (I always struggle with cards for men) and the other for my great aunt (who will be 95)! 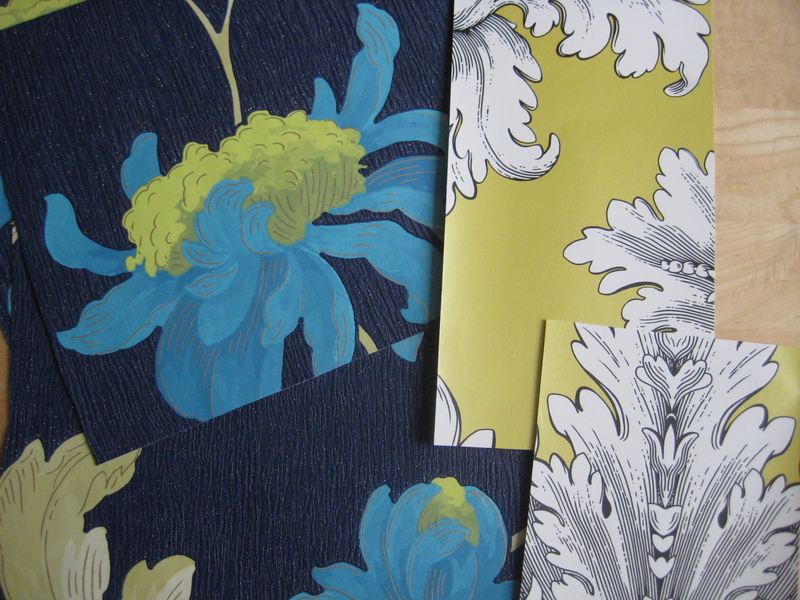 The wallpaper bit for her one is actually the dark blue section under the flowers. But it gave me a great way of using up this a-bit-too-bright marbled paper which has sat in my draw of papers for a few years now without being used. The left over bits saved for next time! Thanks! I’m not afraid of a bit of drama on my walls but the yellow marbled paper would definitely be a bit much for me!